About a month or two ago, I launched something that I did not bother to mention here. Mostly, that is because I have been fairly busy with other things. Also, I have found that most of the small announcements that I have to make, I have been doing on Twitter. However, realizing that there are people who may subscribe to this blog, or visit in the future, that may not follow me on Twitter, I figured it was worth a mention here. Over three years ago, Steve Rabin and I formed the AI Game Programmers Guild. However, it was only a few months ago that we decided that we needed to put up a web site. Actually, to be more accurate, we decided to put out a web site over a year ago. We just never got around to it. Thankfully, our good friend Steve Woodcock decided that he was no longer going to be able to keep up his website. He also had a really nifty domain name: GameAI.com. We initiated a transfer of the domain so that I could start taking care of it. All I then set about setting up the new web site for the guild. The guild web site, has many links to all sorts of information. We are hoping to continue to expand that over the years. In particular, links to people’s presentations at places such as GDC will be hosted on there. Also, links two papers on artificial intelligence, especially in the game industry. There is a news feed on that site as well where I will announce as we enter more information over the course of time. When appropriate, I will try to remember to cross-post on this blog as well. While I have been rigidly avoiding getting sucked into the vortex that is Facebook, I figured it was time to get onto Twitter. You can follow me as “IADaveMark“. I promise not to bombard you with useless messages… for a while, anyway. Just in case anyone has any problems, I have routed the RSS feed for this blog through Feedburner. I think I did all I was supposed to in order to get it all to work correctly… and even forward correctly for those of you that have subscribed. If you are visiting because your feed was giving an error, however, please use the links on the top right to update the new feed address. The reason I wanted to do this was to keep track of the subscriber numbers… that counter on the Feedburner chicklet should be jumping up in the next few days as everyone checks in! Sorry for any trouble. Thanks for subscribing! 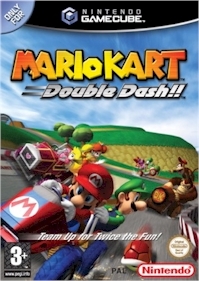 Make sure you check out Intrinsic Algorithm’s other blog, Post-Play’em for my new analysis of the AI of MarioKart: Double Dash for Nintendo GameCube! This is now the place where I will be linking to all the nifty stories about the world of game development and especially AI-related items.